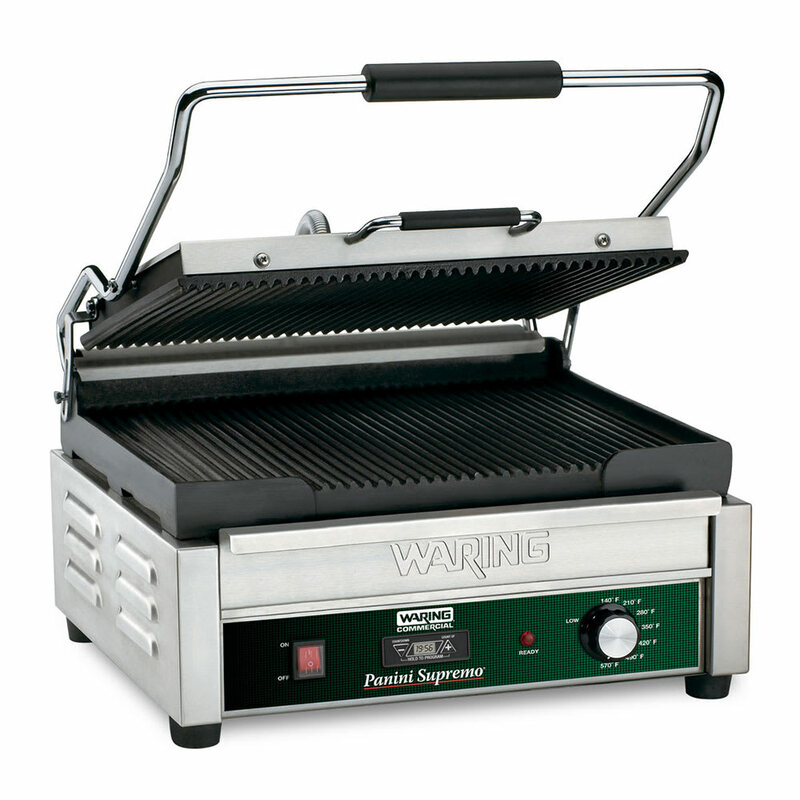 Grill your sandwiches, wraps and tortillas to their best with Waring's WPG250T Italian-style large panini grill. 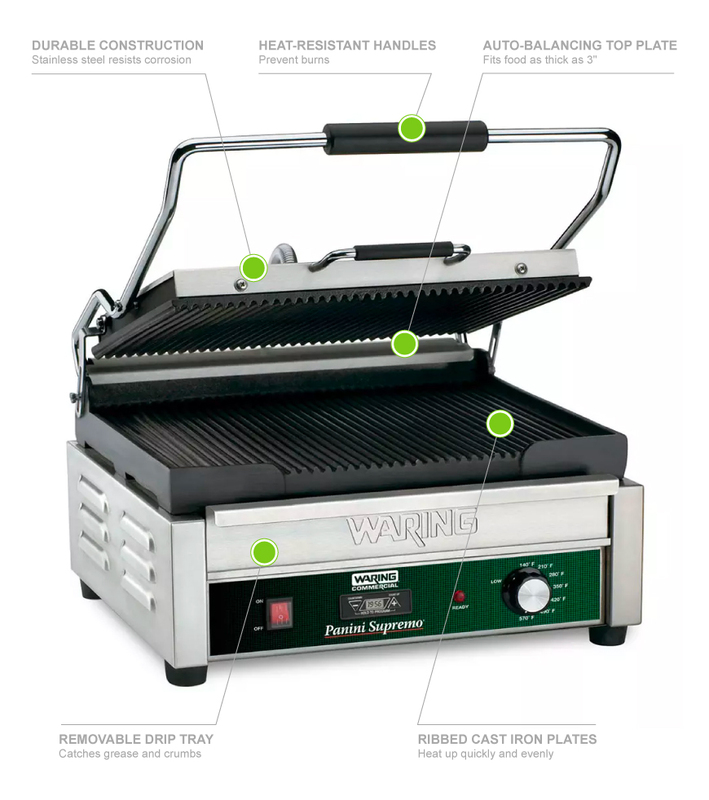 This unit has a hinged, auto-balancing top plate to accommodate products up to three inches in thickness, grilling them evenly. It is built with a brushed stainless steel body and removable drip tray to catch hot liquid and food particles. 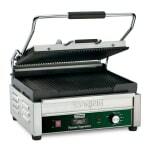 Power on and ready indicator lights on this commercial panini press monitor the readiness to grill.